On a trip through Central America, Guatemala should certainly be included in the itinerary. It may not be as popular as its big brother Mexico but it has all the assets to sweep you of your feet. It might even be one of our most memorable countries visited ever. Talking about natural beauty, Guatemala has it all. It is blessed with some of the world’s coolest lakes with its most famous one being Lago Atitlan. You can go birdwatching in mystical cloud forests and look for the Quetzal, the national bird, and symbol of the country. There is an abundance of national parks like Tikal NP, you can not afford to miss out on visiting the stunning lake formations of Semuc Champey. For the more adventurous travelers, there are a lot of opportunities to hike volcano’s, jump of a waterfall at the hot springs of Lago Izabal, go river tubing or to go zip lining. Even the beach bums can enjoy a relaxing swim as Guatemala has a coast on the Caribbean side as well as on the Pacific side! 2. Most top destinations are easily accessible by bus or minivan. Guatemala is not that big a country and even though some of the roads are in bad shape, you can still easily access most interesting destinations. There are different options to travel through the country like shared minivans, buses and tuc tucs. The most special method of transportation might be the chicken bus (see number 7). You can also take a cab if you can splurge. Travelers often use a city as a base to explore the nearby area from. Most popular cities that travelers use as a hub are Flores, Antigua, Quetzaltenango, and the Lake Atitlan Region. Flores is a cool peninsula in the Peten region which is known for its Mayan heritage. It is a good hub to visit Ruins like Tikal, Yaxha and El Mirador. Antigua is the backpacker capital of Guatemala. There is loads to see and do there and it is very easy to stay longer than planned in this charming colonial town. 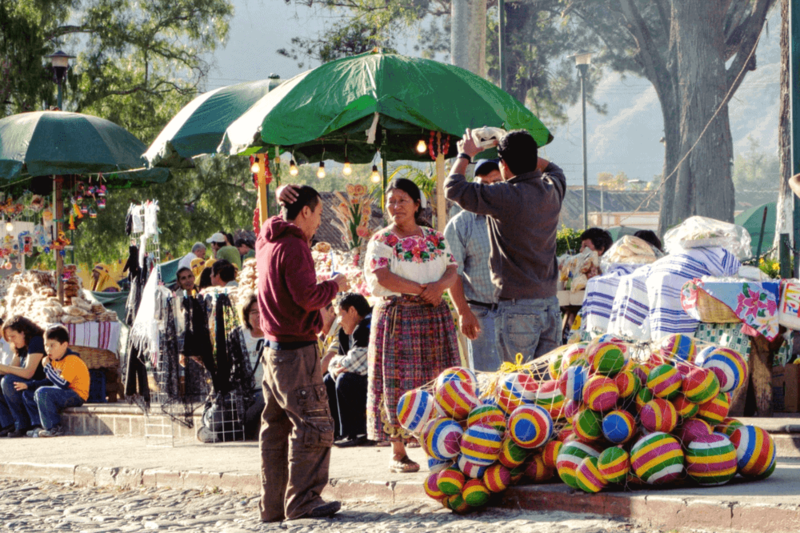 You can visit the market of Chichicastenango which is famous for its handicrafts. A popular activity to do here is to hike a volcano, stay the night and enjoy a stunning sunrise in the morning. Lake Atitlan is the deepest lake in Central America and one of the prettiest in the world! It is surrounded by a lot of towns which all have different things to offer their visitors. The Lake has something magical and once you get under its spell it is very hard to part from. Quetzaltenango is the second largest city in the country and has a very authentic feel. It is less crowded by backpackers than the previous options. Travelers often stay longer here to follow Spanish lessons and do some volcano hiking or to go swimming in the Fuentes Georginas hot springs. Antigua, Quetzaltenango and the Atitlan region have a wide spectrum of Spanish schools. The big advantage is that the courses are quite cheap and of good quality. Locals love it when you talk to them in Spanish so you can practice what you’ve learned immediately. Assuming that your Spanish course will take a few days, weeks or months, it’s not difficult to find a cheap place to sleep either. Some of the schools offer homestays or work with hostels so you can get a better price. You can breathe Maya culture on every street corner. Dozens of ancient Mayan ruins are hidden in the vast Guatemalan jungle. Some are more frequently visited than others. Tikal is visited by thousands of star wars fans per week. But we are more into the less known sites like Yaxha. Guatemala is not visited as often by tourists as their neighbor Mexico and still has a lot of untouched indigenous Mayan villages to explore. The best-known place to buy handicrafts, cloth, and souvenirs in Guatemala is the Chichicastenango market with its plenitude of colorful fabrics, wooden masks, musical instruments, belts, clothes, jewelry and much more lovable things you are going to want to take home with you. 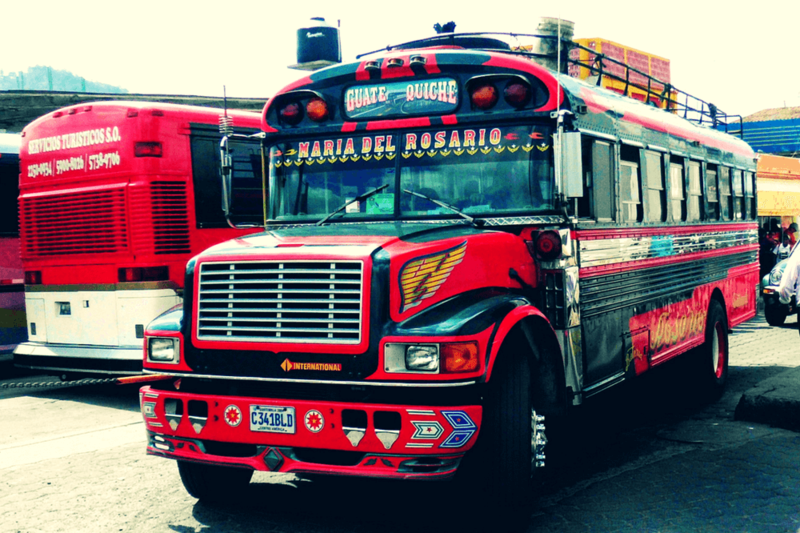 Don’t worry if Chichicastenango isn’t on your itinerary because you can find souvenirs all over the country. No one can deny it: these chicken buses are cute. You might select a seat, just to be accompanied by a lovely old lady who puts her five chickens in a cardboard box right above your head. Or she might carry the chicken by the paws and put it on her lap while showing you her toothless smile. It could be a pig instead of a chicken too. All this has a good chance of happening on your bus ride. Chicken buses are perfect for shorter rides because they are quite uncomfortable for taller people. Still, you have to experience a ride in this repainted school buses from the States to find out how charming you think it is. Guatemala is mostly a cheap destination. You can easily find comfortable accommodation and good cuisine at a very reasonable price. Transportation is also cheaper than in most of its neighboring countries. To put the cherry on the pie, Guatemala has beach access to both Caribbean as the Pacific Ocean. On the Caribbean side, Livingston is a popular destination, with its Garifuna community and a chill rasta vibe. Most beach bums and surfers dwell on the Pacific side around El Paredon. The beach here has dark sand and arguably some of the best surfing conditions in Guatemala. Guatemalans are overall very kind and lovable people. Most of them are eager to start a conversation and find out all about you. If you make an effort to try and speak Spanish you will easily connect with them. We met some really nice people there and we are going back to meet some more! 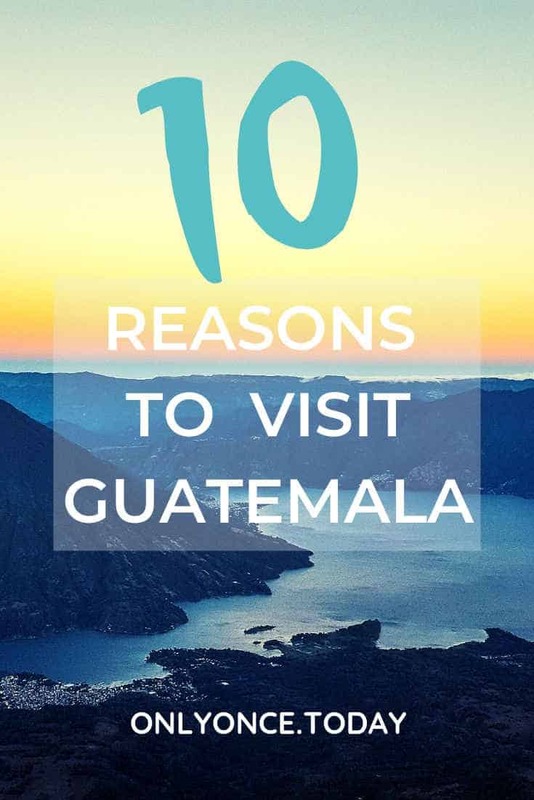 So, we can talk endlessly about all Guatemala has to offer but the best way to find out is to go visit it yourself! 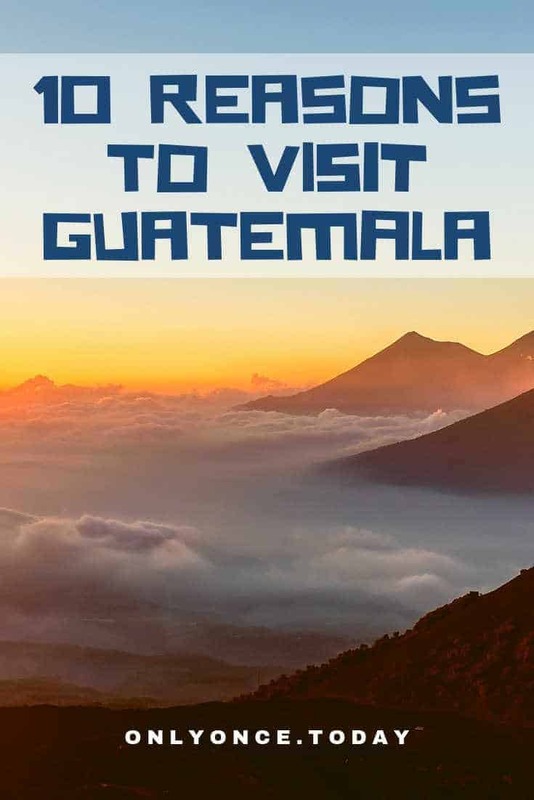 If you are triggered to find out more about this fascinating land of the Maya than check out this Guatemala backpacking guide. Maybe you would like to get inspiration for an awesome travel route to follow? We’ve created a super cool itinerary that takes you through the entire country with all its top destinations. 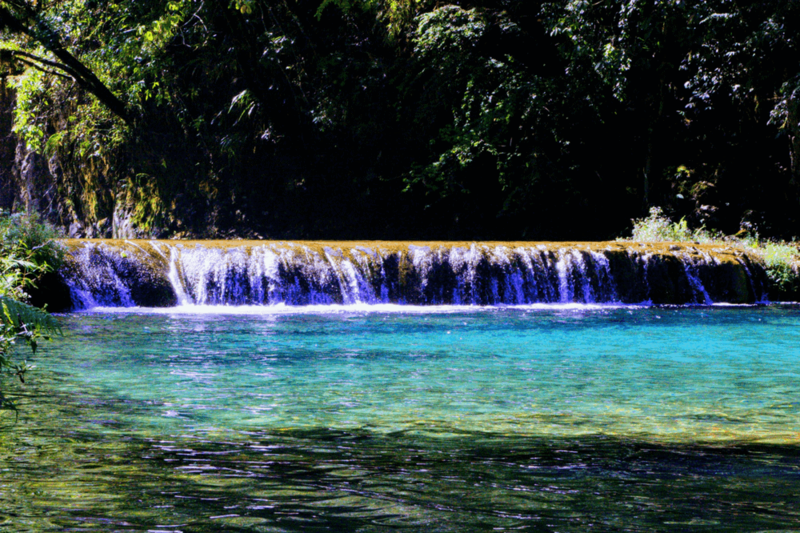 Definitely check out these things to know before you go to Guatemala. NextRestrooms Worldwide – Gender and travel! Love your pictures. I never thought about Guatemala as a travel destination, but you have made me want to go..
Great to hear that! It’s a good travel destination! I’ve never been to America and this post really motivates me to find out more about this continent 🙂 When I do, I’ll definitely put Guatemala on top of my list. I’d love to experience sitting in the chicken bus, too 😀 And the cities here look so colorful! Definitely want to go surfing when I go there! You sold me at the chicken bus point. They are a great experience! Yes! It has it all! We had some amazing times there and are going back this year. It may have a high crime rate but we never experienced any sort of trouble while traveling there. We didn’t visit Guatemala city, just past through. If you decide to go, have a lot of fun and let us know what you think about it! Safe travels! I was in Guatemala almost seven years ago and didn’t see nearly enough of it. For such a small country, it packs a big punch. Definitely hope to go back someday with more time.